BLOG: Once again, we’re wondering: Does Dean Heller support Planned Parenthood? 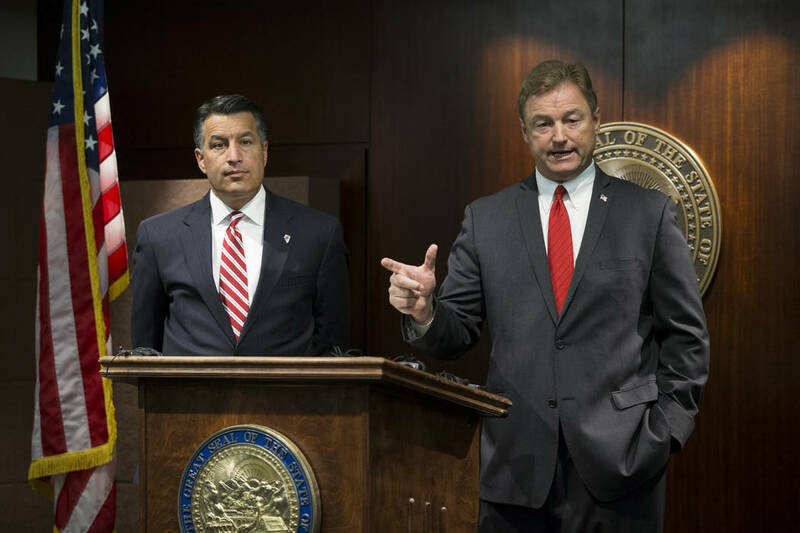 U.S. Sen. Dean Heller made news this morning when he came out against the Republican health care reform bill being debated in the Senate, saying it would hurt millions in America and thousands in Nevada who are newly eligible for Medicaid. But he said something else that was downright … mystifying. Heller has already gotten himself in trouble with respect to Planned Parenthood, telling a Reno town hall audience that “I will protect Planned Parenthood,” and that “I have no problems with federal funding for Planned Parenthood.” His spokeswoman, Megan Taylor, quickly told reporters that Heller actually does have a problem with Planned Parenthood and does not support federal funding for the group. Planned Parenthood receives federal funds. But Heller just said he’s not opposed to Planned Parenthood?! That’s clear enough. So, maybe, the next time somebody asks Heller if he’ll support a bill that cuts federal funding for Planned Parenthood, he should just say “yes”? That seems like it would save everybody some time.